347-502-6441 24 hours a day for prompt emergency service assistance. Or schedule a plumber through our online calendar for free estimate. we know. The Rite Plumbing & Heating name is backed by quality services and decades of experience. We unclog drains and make recommendations to keep your drain and sewer lines flowing. We are licensed plumbers in and around NYC who are committed to professional drain cleaning and unclogging and service in Brooklyn, Queens, and Manhattan, New York. We provide a COI (certificate of insurance) and handle big or small residences and businesses, including Co-Op and Condominiums. We handle emergencies 24/7. Call us right away for an expert drain plumber in NYC – including Queens, Brooklyn and Manhattan. We are prompt and efficient when servicing and cleaning clogged drains. Showers and tubs get clogged with hair, soap buildup on occasion, not to mention other grime. Rite Plumbing & Heating has the equipment to fix these challenges. Over time, kitchen drain clogs cause sluggish draining. Grease, soaps, and detergents cause build up. Over time the drains become blocked with debris. Rite Plumbing & Heating has the equipment that will move the debris. Our bathroom drain cleaning techniques can help with toilet drains that get clogged with toilet paper and other debris. Rite Plumbing & Heating can fix these clogs with proper tools that will expand the life of your toilet. we offer repair and cleaning for damaged sewer lines. Main line drains get contaminated and result in flooding. 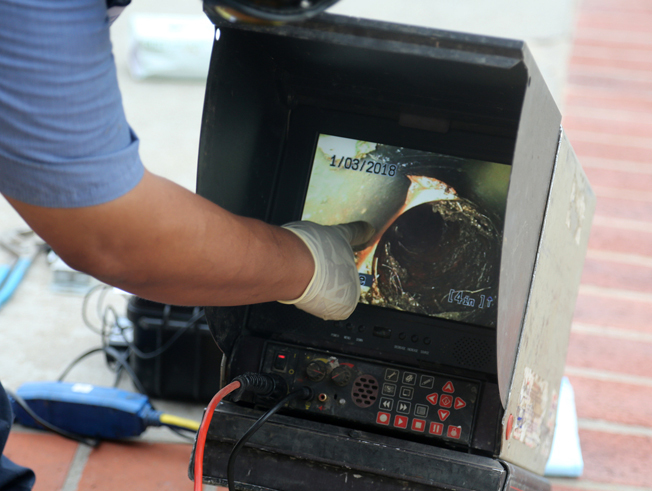 Our team offers qualified repairs for sewer main lines that are damaged. Rest assured, we can fix your problems quickly and efficiently.